UNION PACIFIC IS PROUD TO CELEBRATE THE LEGACY OF ABRAHAM LINCOLN. The right time, the right man. Abraham Lincoln will forever be remembered as the man who held our nation together during its most uncertain hour. No other president has fought so hard – or sacrificed more – for our union. 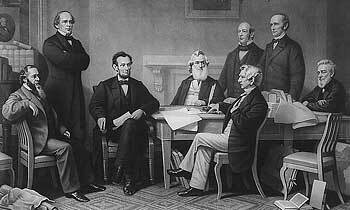 But Lincoln's legacy as “the great uniter” reaches far beyond the resolution of the Civil War. At the height of that war, with unity so much on his mind, President Lincoln sought a way to connect and secure the great expanse of our nation, to unite it entirely, from sea to shining sea. This wasn't a new idea. Visionaries first began talking about a route to the Pacific in the 1830s. Indeed, by the time Lincoln took office in 1861, many Americans believed that expanding the railroad was absolutely necessary. Congress had tried to make it happen and failed. There was so much to argue about … Who would pay for it, and who would build it? And where would it begin and end? Many leaders felt that the time for such a massive undertaking was not in the middle of an expensive Civil War. But the president was determined. At the same convention where Lincoln was nominated, the Republicans pledged to stop the spread of slavery, to establish daily mail service and to build a transcontinental railroad. In Lincoln's mind, the railroad was part of the Civil War effort. The new line would support communities and military outposts on the frontier. It would give settlers safe and dependable passage west. And most importantly, it would tie new states California and Oregon to the rest of the country. These states were rich with natural resources and trade potential, and their place on the flag was far from secure. Little more than a decade had passed since Oregon was claimed by Great Britain and California was part of Mexico. Even after becoming a state, California had its own secessionist movement. 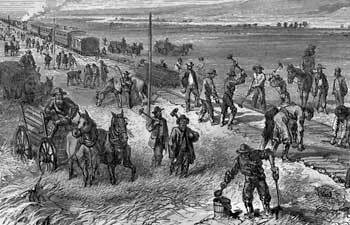 A transcontinental railroad, Lincoln hoped, would bring the entire nation closer together – would make Americans across the continent feel like one people.